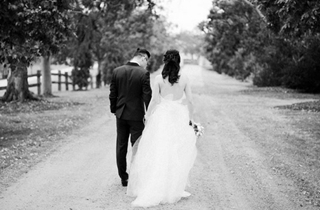 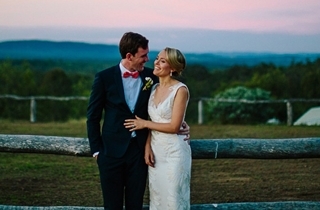 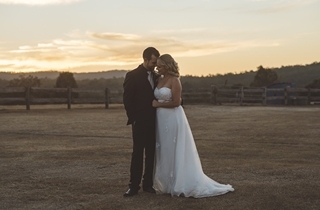 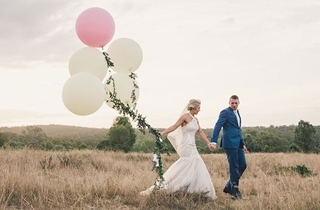 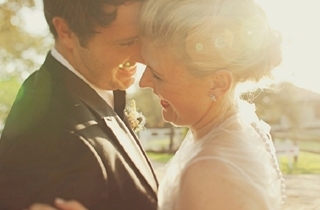 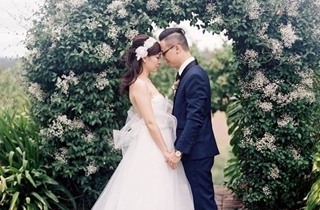 Imagine your Wedding Day at Spicers Hidden Vale. 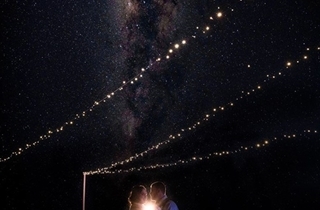 We already can. 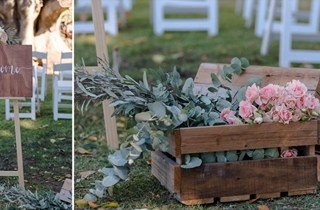 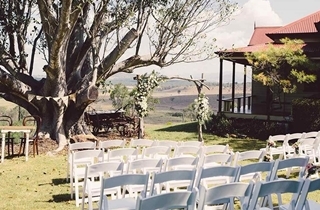 The outdoor ceremony locations at Spicers Hidden Vale are endless…and spectacular. 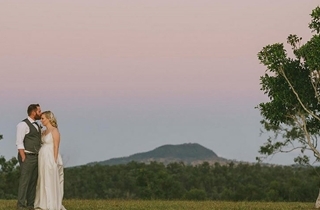 Nestled on a 12,000 acre working farm set amongst rolling hills and lush bushland, this historic property is just one hour’s drive from Brisbane and 50 minutes from Toowoomba. 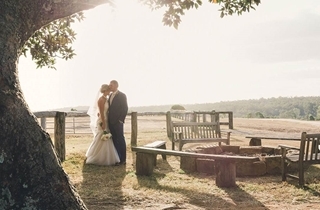 Spicers Hidden Vale is an Australian getaway and an elegant and unique country wedding destination. 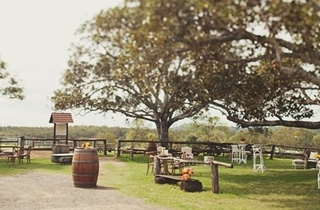 Designed in the style of a traditional Australian homestead from a bygone era, the main guest lounge, reception, restaurant and bar are located in the original homestead and the outlying cottages provide the accommodation for your guests. 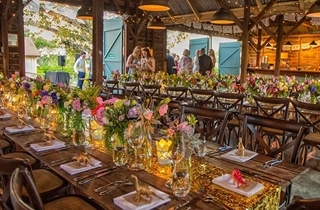 Whether you’d like a cocktail reception or sit-down dinner from 20 to 200 guests, you will be in professional hands all the way. 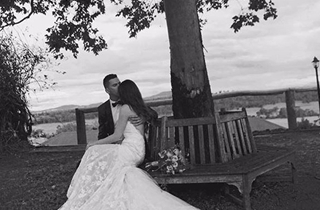 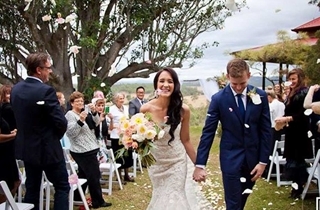 Such a memorable day deserves the best and here at Spicers Hidden Vale, we would feel honored to play a part in the creation of those wonderful memories. 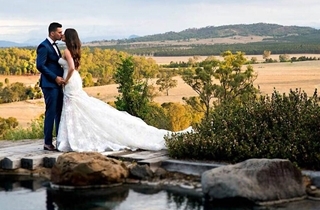 At Hidden Vale, all of our brides are assured of having the whole property for photographs, as well as receiving undivided attention on the day. 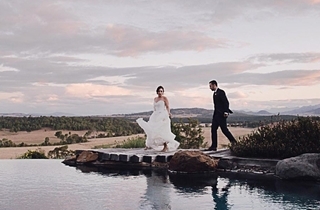 Enjoy the convenience and privacy of having the property exclusively dedicated to your wedding. 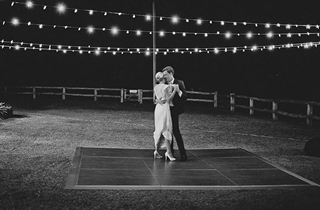 Saturday only $6000 Friday or Sunday $4000 Monday to Thursday $3000 Excluding the Private Dining Room and ‘Simply in love’ package, your venue fee provides exclusive use of the whole property. 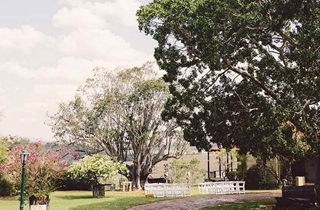 5 accommodation rooms are gifted in the venue fee: 1 x luxury Suite 1 x 2 Bedroom Hereford cottage 3 x 1 Bedroom Heritage cottages Private Dining Room $500 (Simply in Love package only). 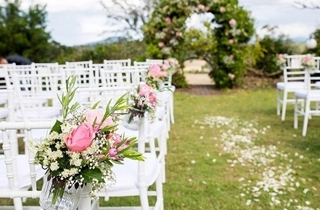 Non-exclusive use, any day of the week, up to 20 guests. 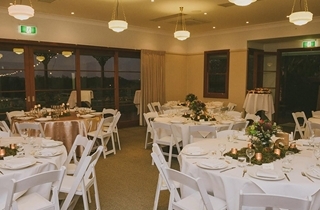 The Laidley room is located on the highest point of the retreat with floor to ceiling glassed doors offering you a breathtaking view over the ranges. 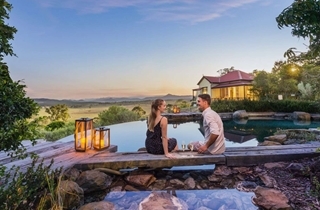 The glass doors can be opened right up to create a beautiful indoor/outdoor atmosphere and with a wrap around veranda you can make the most of the beautiful sunsets. 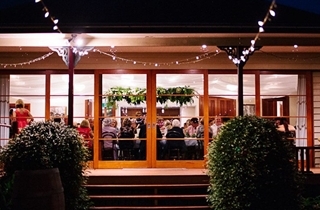 Pre-dinner canapés or cocktails can be enjoyed in The Laidley Room for 150 people. 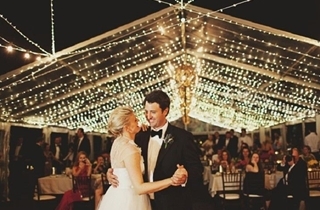 The reception banquet itself can be held in this Space for 100 guests seated. 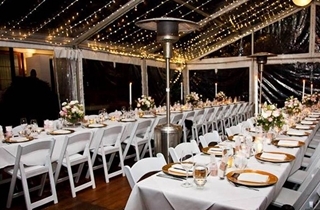 If you are looking for a more intimate occasion, this room provides you with complete comfort and a great ambience with your own lounge area and fire place. 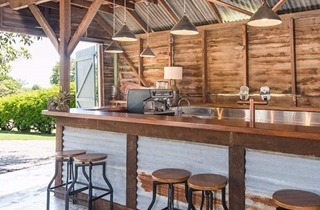 Off set with floor to ceiling glass doors to take in the surround views. 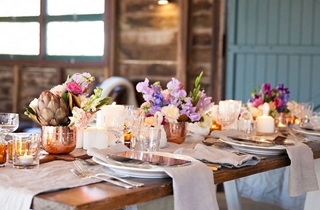 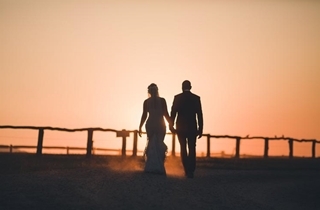 If you are looking for a wedding with a rustic flair, the barn is the choice for you. 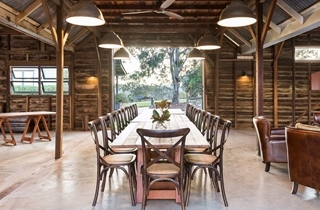 Set in an original barn with beamed ceilings and unique decorative touches. 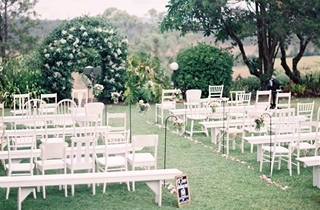 You also have the use of the forecourt area for any outdoor settings. 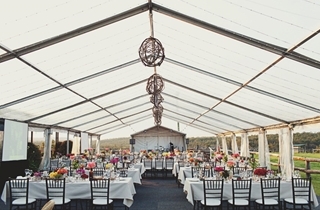 4 hour Food & Beverage package for up to 20 guests. 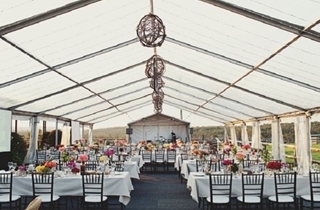 5 hour Food & Beverage package for 20 or more guests. 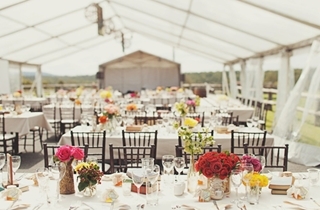 5 hour Food & Beverage package for 40 or more guests. 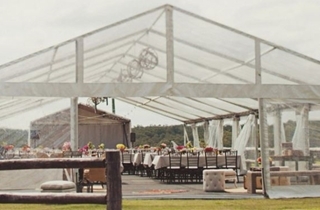 6 hour Food & Beverage package for 20 or more guests. 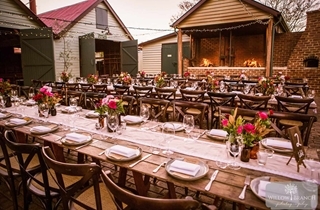 A two day food and drink package for 20 or more guests.